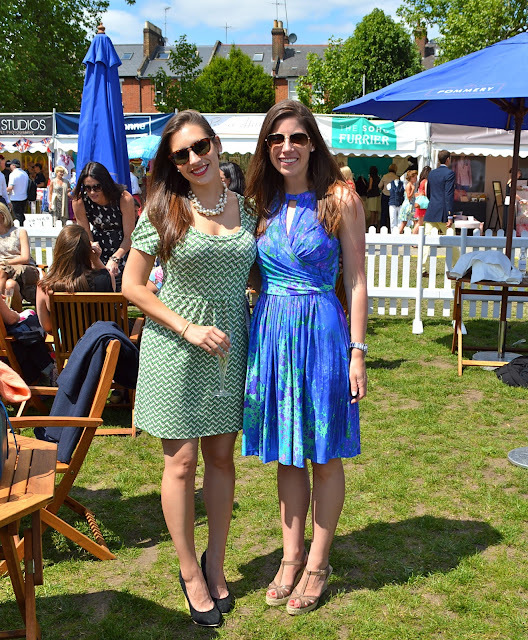 On Saturday my friends and I made the annual trek down to Hurlingham Park for a day of bright summer sunshine, polo ponies, and lots of champagne at Mint Polo in the Park. We staked out a spot early in the day in the Pommery Champagne Garden and kept the bubbles flowing all afternoon. The polo matches began around 2:45pm with teams from Moscow, Beijing, London, Buenos Aires, Abu Dhabi and Sydney participating for the Park Trophy. ... and it was hot enough to wear summer dresses without layers of sweaters piled on top. The party continued until 8pm in the evening and it was a great day had by all. If the weather is nice, this is a fun annual event to attend, and only about a fifteen minute cab ride from central London to the grounds. Today I'm Dreaming of the Amalfi Coast ..